Sister Maria Iannuccillo, SSND, is in her second term as council member for the Atlantic-Midwest Province. A born-and-bred New Englander, she attended Bristol, RI public schools through fifth grade before attending and graduating from St. Mary Academy, Bay View in East Providence, RI. She received her bachelor’s degree in sociology and religious studies from Regis College in Massachusetts and her master’s in religious studies from Sacred Heart University. In 1990, one year after graduating from college, she entered SSND. Her SSND formation was interprovincial and intercongregational. She helped coordinate and participated in a SSND renewal program in Nairobi, Kenya. Since entering she has worked with learning disabled children in Teaneck, NJ, in an inner-city parish in Bridgeport, CT, and in high school campus ministry at St. Saviour’s in Brooklyn, New York and St. Joseph High School in Trumbull, Connecticut. 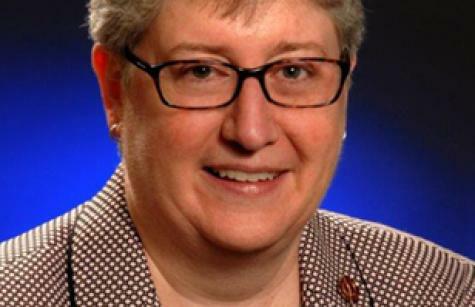 She served on the National Religious Vocation Conference national board for six years and on its executive committee for two of the six years. She also served on the board of Caroline House, in Bridgeport, Connecticut.